The Colorado Avalanche Hockey Club announced today that the team has acquired defenseman Eric Gelinas from the New Jersey Devils in exchange for a third-round selection in the 2017 NHL Draft. 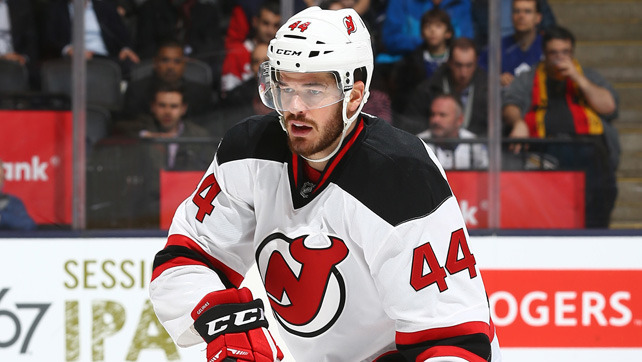 Gelinas, 24, has skated in 34 games for the Devils this season, tallying six points (1g/5a). Selected by New Jersey in the second round (54th overall) of the 2009 Entry Draft, Gelinas has totaled 54 points (14g/40a) in 156 NHL games. The 6-foot-4, 215-pound native of Vanier, Ontario, led all New Jersey defensemen last season with six goals (6g/13a) while appearing in a career-high 61 games.